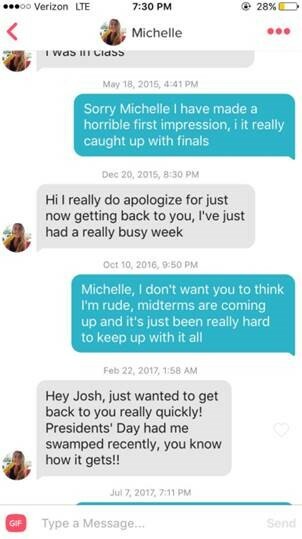 Unfortunately, in today’s day and age online dating is the go-to way to meet new people and Tinder reigns supreme in my circles. I don’t know about anyone else, but I rarely use the app with the intention of actually meeting my matches IRL; it’s more of a fun game to see how many people you can match with while you’re swiping. And messaging? Well, let’s just say that apparently I’m not the only one who doesn’t rush to respond to any I receive! 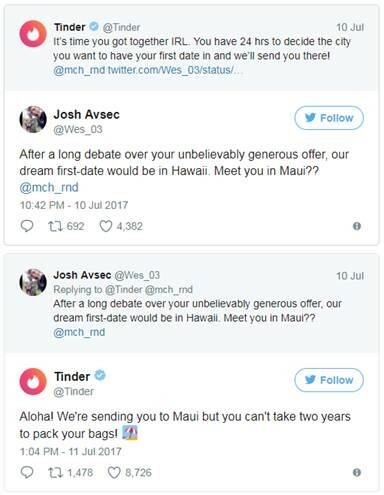 Three years later and these love birds are going to Maui, they’ve got Twitter in a tizzy, and thousands are now following their story. Stay tuned for how that tropical first date goes!